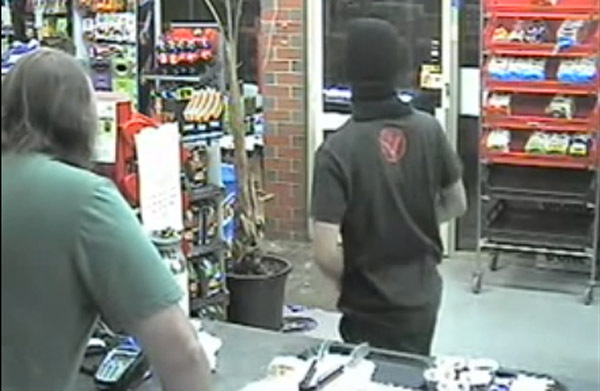 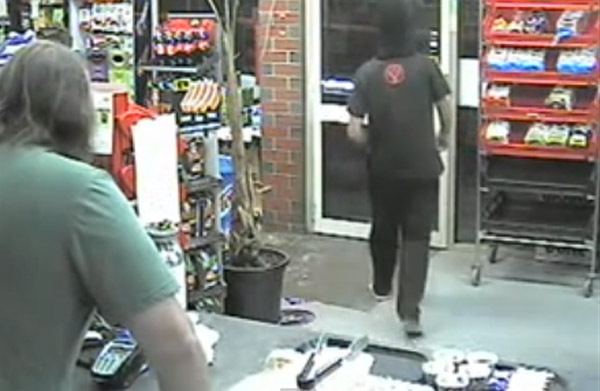 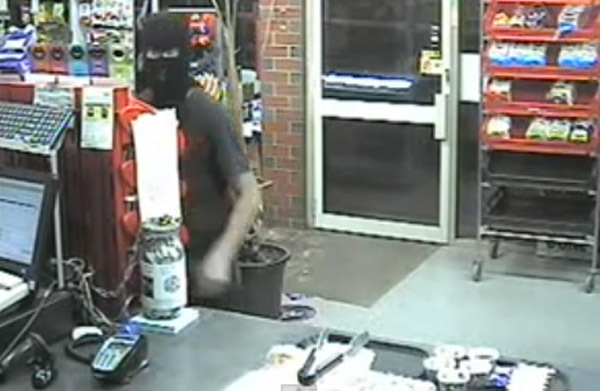 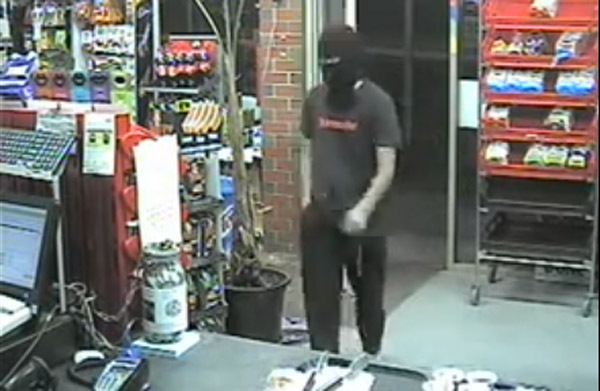 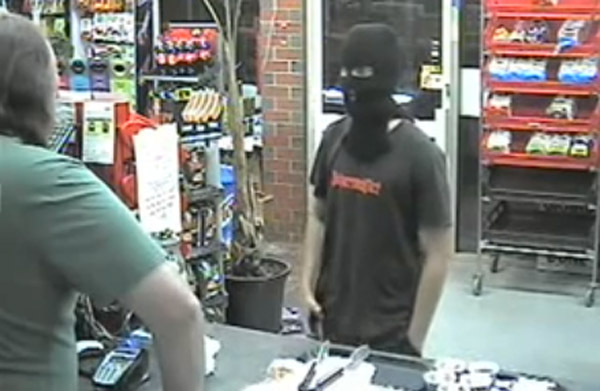 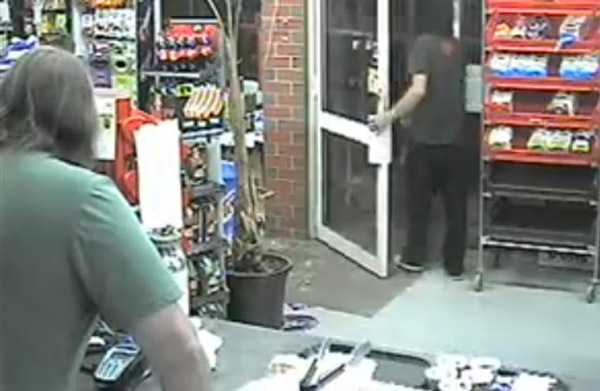 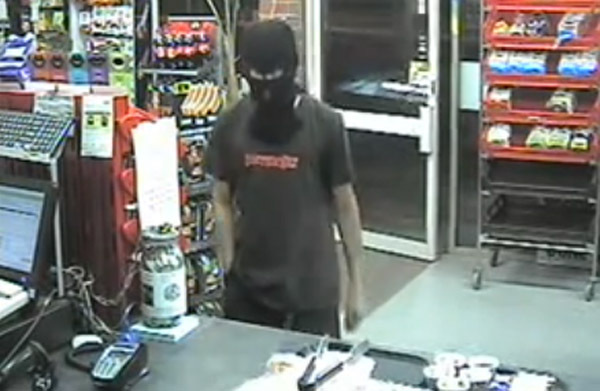 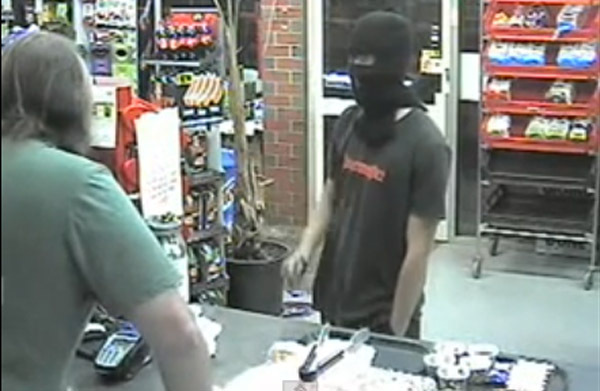 BENDIGO, Australia - Surveillance footage of a failed robbery attempt at a 24-hour convenience store in Australia on Mar 4, 2014 has surfaced on the Internet, eliciting laughter from many netizens. 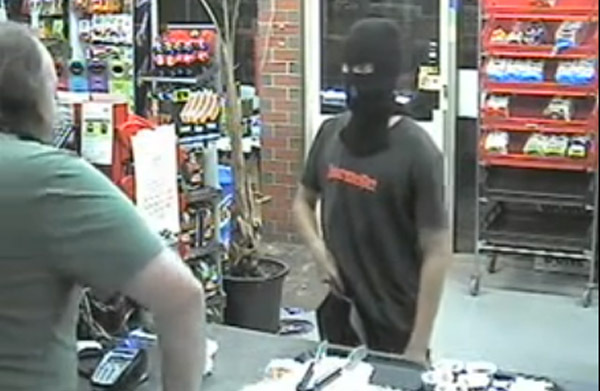 According to a report on Buzzfeed, a masked man walked into the store with his right hand in his pant's pocket. 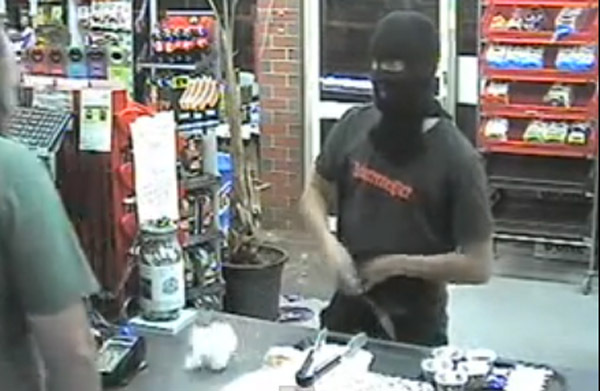 He made his way to the cash counter and fiddled with some merchandise on display at the unmanned counter. 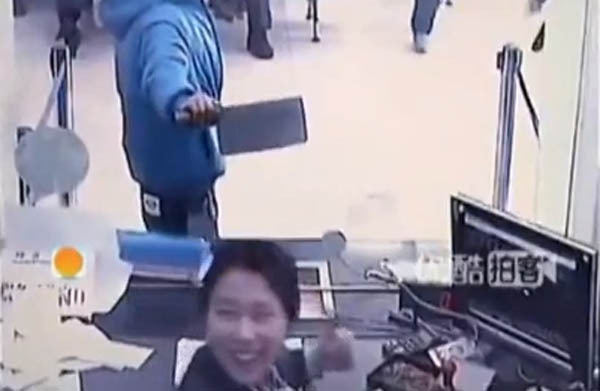 As the shopkeeper approached, the robber threw a plastic bag on the counter, brandished a gun at him, and asked him to place cash into the bag. 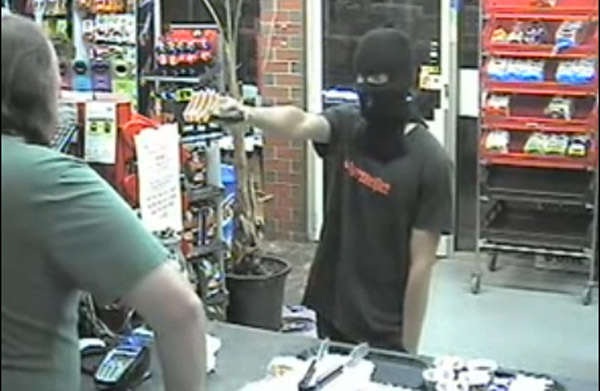 However, the shopkeeper recognised the gun as a fake one and refused to comply with the robber's demands. 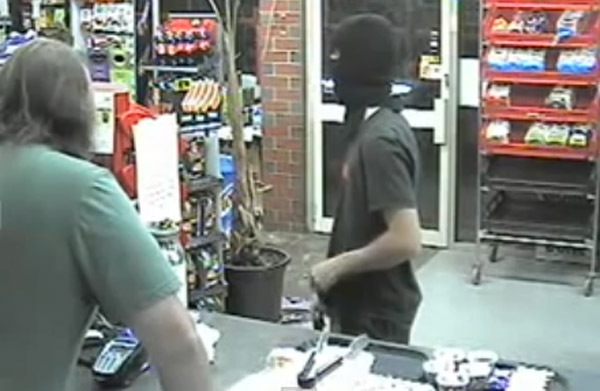 He was seen shaking his head while speaking to the robber. 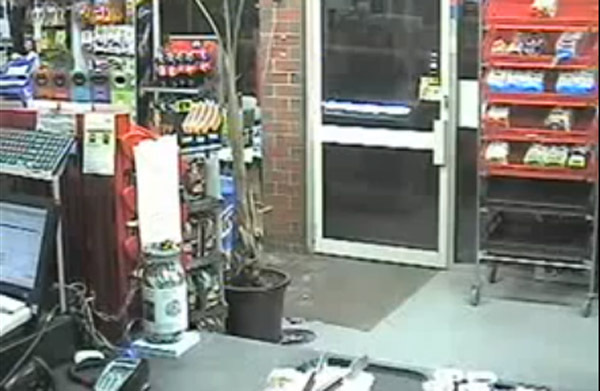 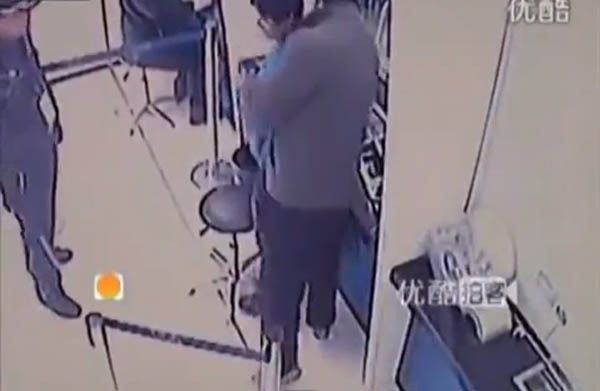 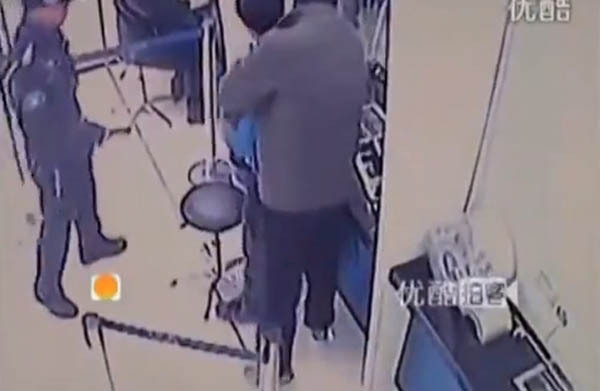 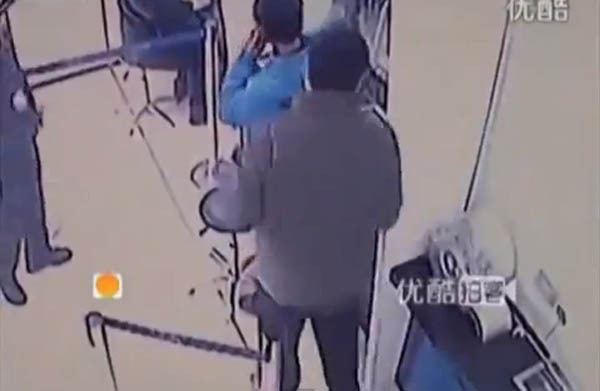 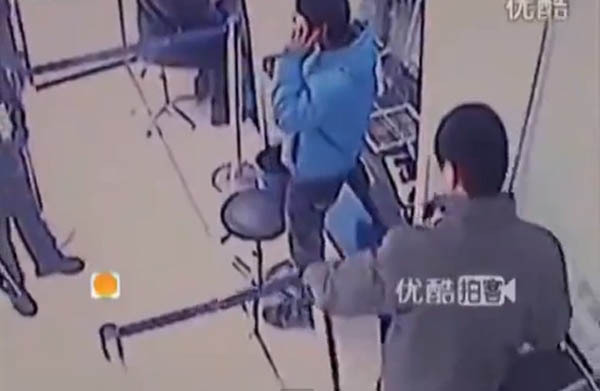 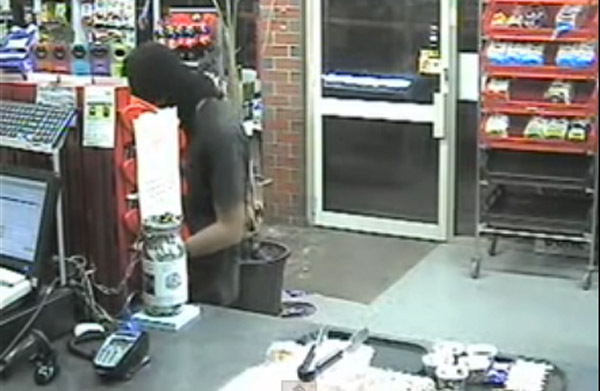 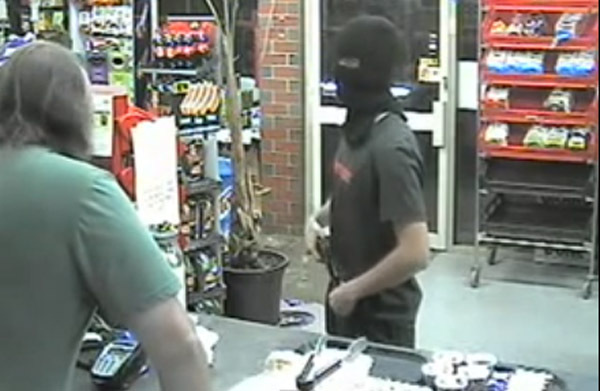 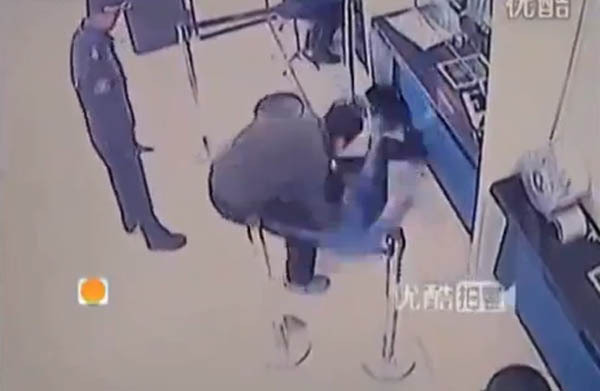 The robber then awkwardly tucked the gun back into his pants and made a hasty retreat. 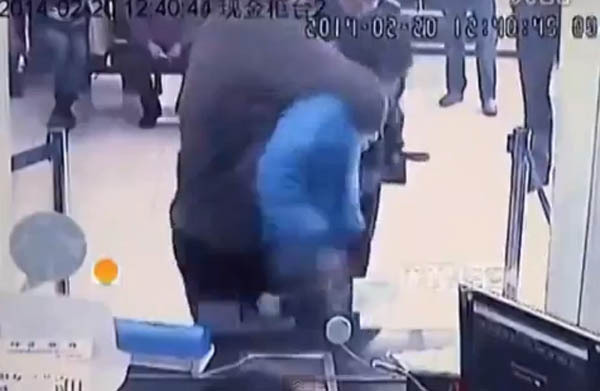 He later left the scene in a silver car which was waiting out of the store. 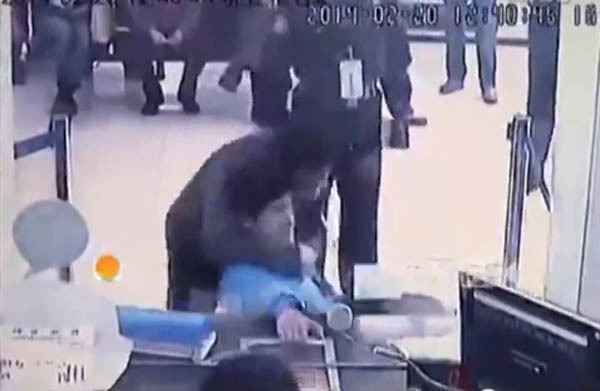 The video footage also showed that the entire incident unfolded in approximately 45 seconds. 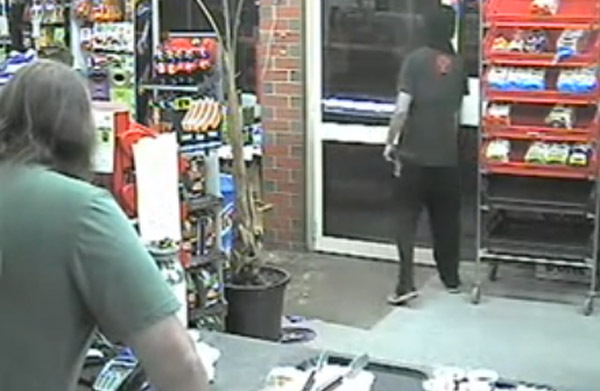 Several people who watched the video have commented on the robber's inexperience and are making fun of the odd way he was holding his weapon. 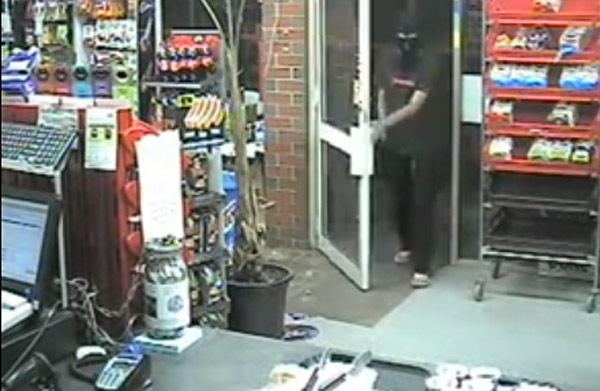 According to a report on Buzzfeed, a masked man walked into the store with his right hand in his pant's pocket. 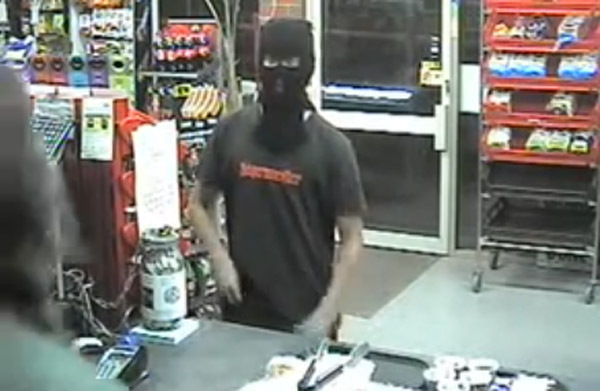 He made his way to the cash counter and fiddled with some merchandise on display at the unmanned counter. 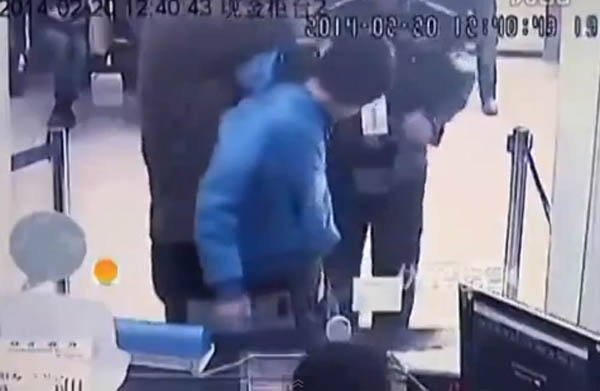 However, the shopkeeper recognised the gun as a fake one and refused to comply with the robber's demands. 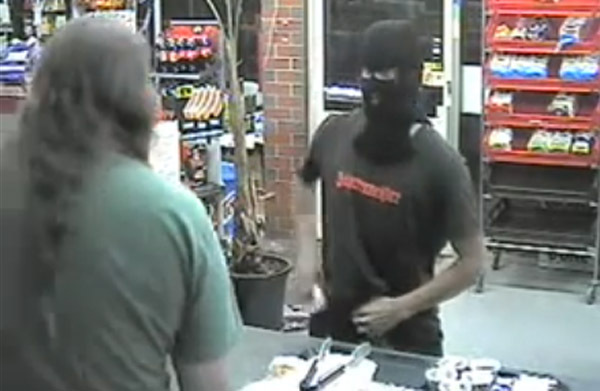 He was seen shaking his head while speaking to the robber. 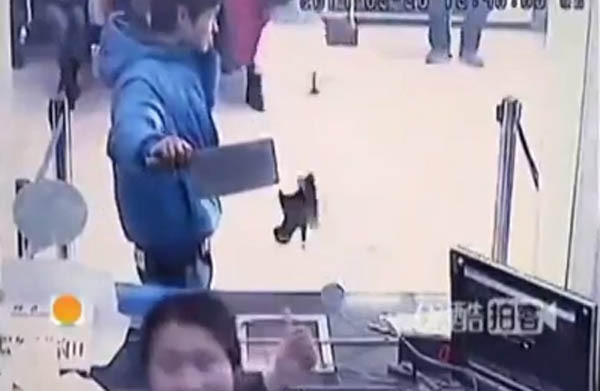 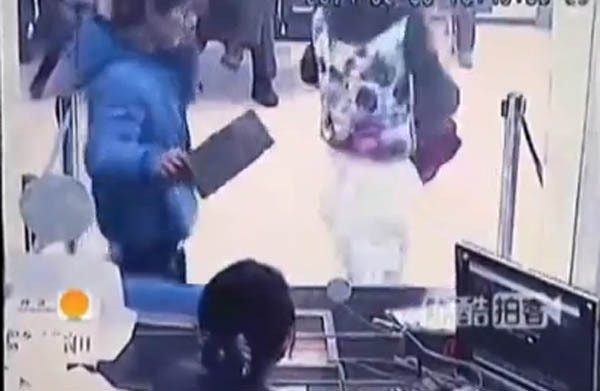 A video posted on kotaku.com shows a man who approached a counter and took out a meat cleaver, saying he wanted to rob the bank. 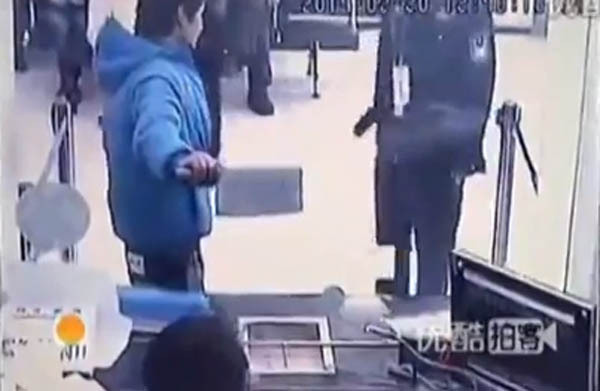 He then spoke on the phone, while the teller, safe behind the glass, laughed at him in absurdity. 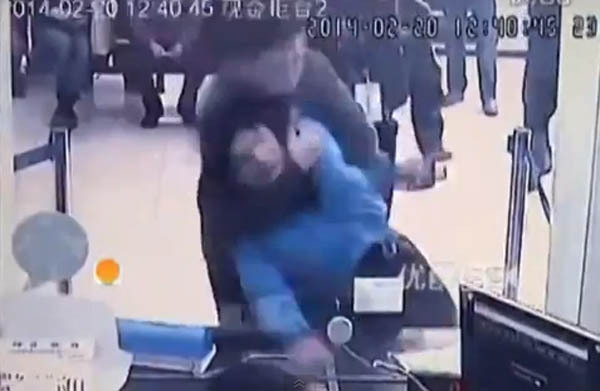 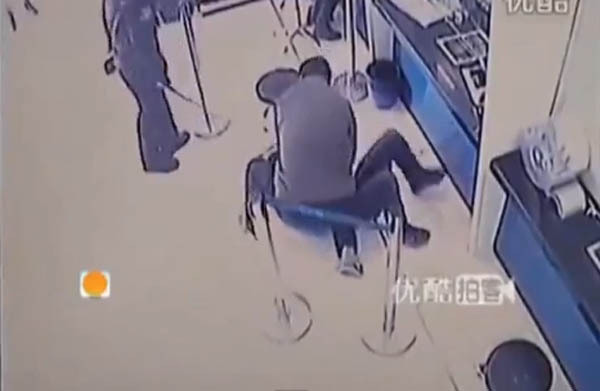 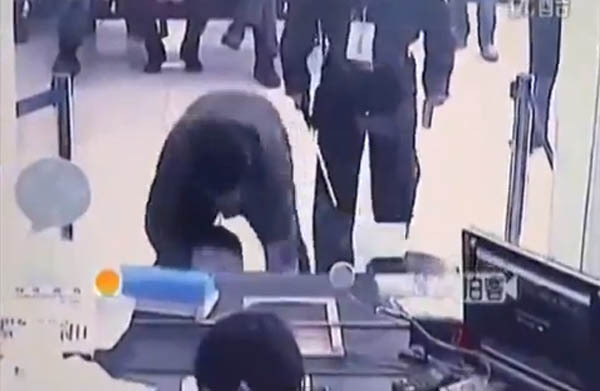 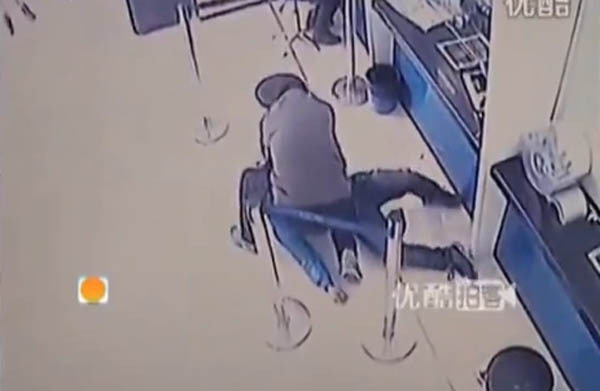 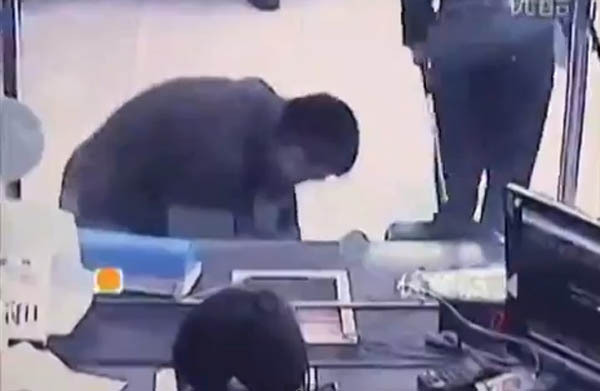 The security guard evacuated the place and went to confront the robber, and a man took away the robber's cleaver and pinned him to the floor. 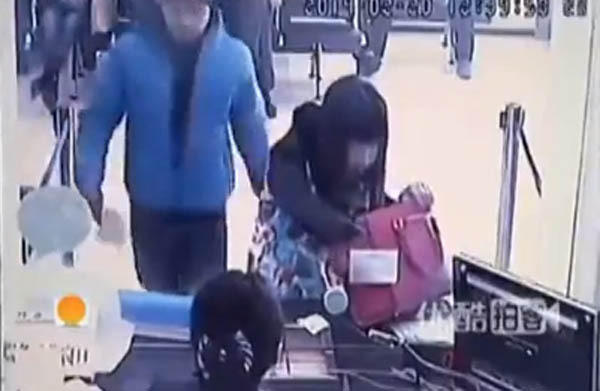 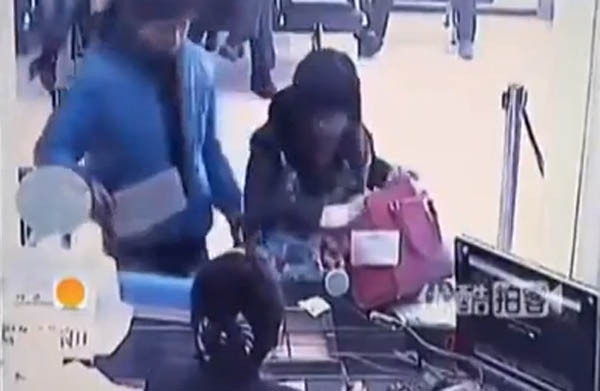 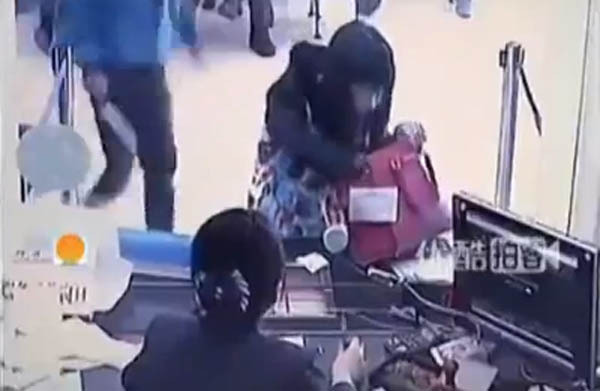 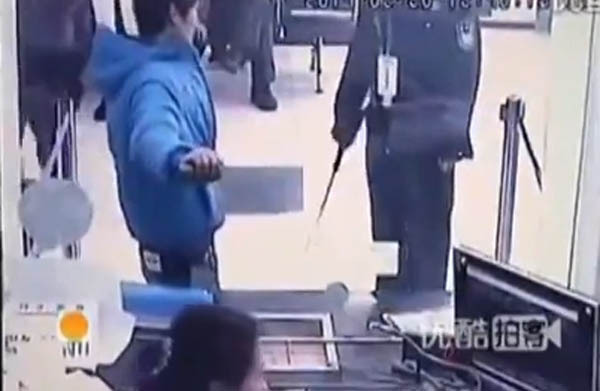 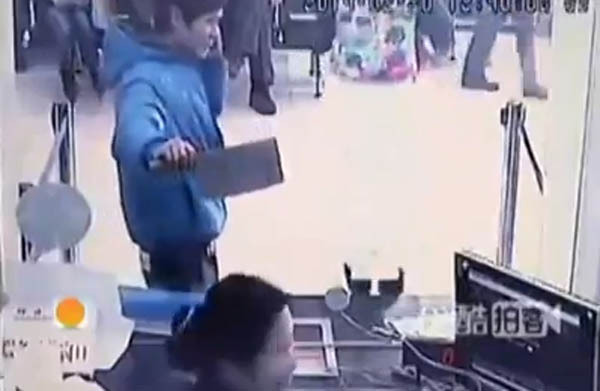 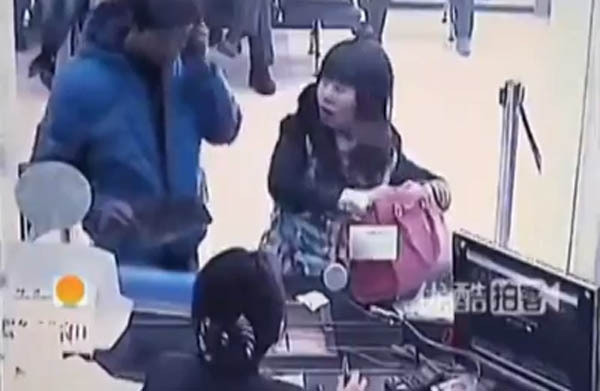 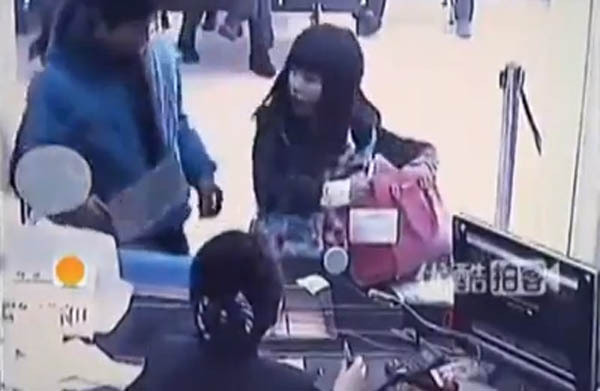 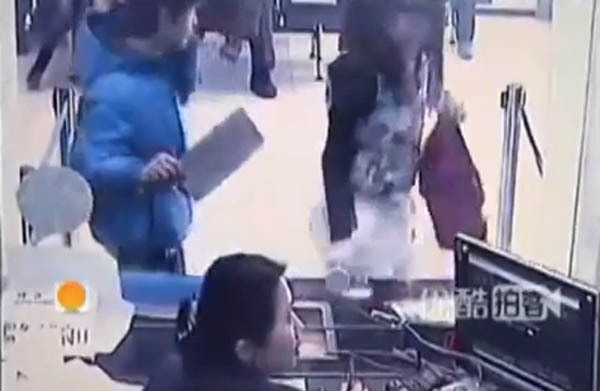 Animated GIFs of the amused bank teller are being circulated on popular Chinese sites.